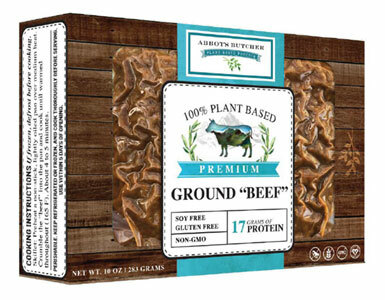 Savory and delicious, this vegan Ground Beef by the Abbott's Butcher is the perfect way to enjoy your favorite recipes with amazing flavor and texture! Perfect for meatloaf, casserole, tacos, lettuce wraps, fried rice and anything else you think would be better with a protein-packed addition, you'll be getting healthy organic and non-GMO ingredients and nothing artificial. With 17 grams of tasty plant-based protein per serving, there's no cholesterol, saturated fat, preservatives or artificial colors or flavors, giving you the healthiest way to compose your favorite meals with this awesome vegan alternative. 10 oz. (283 g) package is $8.49.